We don’t even come close! We should all learn to know our place in the whole picture of our existence and we should also understand our privilege that we have in being created and given a chance to be put right with the supreme being of this universe to the point of being able to be adopted into His family and be called His child. The fact is… for all have sinned and fall short of the glory of God. NO ONE CAN TOUCH THE GLORY OF GOD!!!!!!! Don’t even think about it! Lucifer did and look where it got him. I’ll share why in my blog today and tomorrow. Unless you understand this about God…you just won’t get Him and you won’t understand….who you are! For the Lord is great and greatly to be praised; He is also to be feared above all gods. 26 For all the gods of the peoples are idols, But the Lord made the heavens. 27 Honor and majesty are before Him; Strength and gladness are in His place. 28 Give to the Lord, O families of the peoples, Give to the Lord glory and strength. 29 Give to the Lord the glory due His name; Bring an offering, and come before Him. Oh, worship the Lord in the beauty of holiness! To Show God’s glory to the world. Giving God the honor and praise due Him because of who He is. To bring to peoples mind knowledge of God’s Excellence. Proclaiming the majesty of God. Yo Ya betta recognize who ya dealing with! 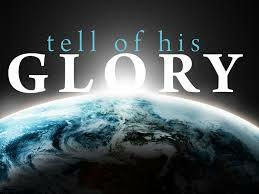 God should be glorified because He is the most powerful being in the entire universe!!! He should be glorified because of His Holiness and His greatness. To glorify Him is to put Him above anything else in this world and in our lives. Everyone we come into contact with needs to know that God is EVERTHING to us. We need to promote God at every possible opportunity. Glorified is a place of elevated Supremeness. It’s having all power to the point of deserving the greatest respect. It’s a supernatural position in that the only person in that place can be God Himself and His only son whom God Himself glorified. Since there is no beginning to God and there is no one over Him. So that makes Him number one and everyone else under Him far below. The fact that He is so far elevated over everything in the universe makes Him supreme and glorified from the shear difference in nature. Glorified is having a perfect moral character and a perfect… never having ever sinned nature. Glorified is total goodness that sets you apart from everyone else to the point of you being looked upon in total awe. You are put on a pedestal and only you deserve to be there. It’s that you are so wise and have so many supernatural abilities that you are truly unique from everyone and everything else in the entire universe and that ever existed. Glorification is the purity that emanates from God’s being. All of the splendor and majesty and the fullness of His greatness exemplified in His overall image of who God is. All of these words don’t even scratch the surface of the explanation of the glory of God. It’s because its “super” natural and we in our humanity are not capable of understanding or grasping the entire experience of His incredible glory. Glorifying God puts God is a place in our lives where He belongs which is far above all things. He is already there and has always been….but for the sake of humanity….this is what we should do….Glorify Him. We have to humble ourselves in order to do it because we are nowhere near Gods superiority and we should know our place in His supremeness. Jesus is the key to Glorifying God. Without Jesus there would be no way for this to be possible. 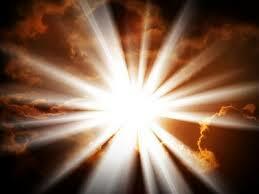 Jesus came down to earth and opened doors that bought the light in this dark work and made glorifying God possible. Once the door has been open by Jesus then the Holy Spirit enters into our souls. 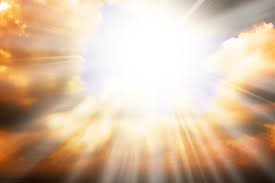 The Holy Spirit is a flashlight in our mind to shine a light and illuminate God’s Glory in our spirit through supernatural means. The results of their work in our lives is made public when we Glorify God!!! When I think of Gods supremacy I get very excited. When I think of His Gloriousness I can hardly breathe. When I feel a small touch of His majesty and Shekinah Glory I almost pass out! When I see the miraculous things He has done in my life and the lives of others I’m stunned beyond belief. I glorify Him and I tell others about this so that they can glorify my God too. 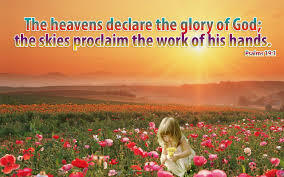 Glorifying God is my fulltime job!!!!!!!!!!! It’s what I do when I’m alone and it’s what I do with my life and it’s what I do in front of others in every possible way as the Holy Spirit leads. I feel when I finally get to heaven…..I don’t want to look back and see all the missed opportunities to show off my God. My brother Jesus didn’t hold back when He was here on earth. When I first started blogging it seemed simple to just jot down a few of my ideas about my Lord and my God….But then I just felt like I wanted to brag about His goodness more and more. Yup….that is the whole thing in a nut shell….”BRAG ABOUT HIS GOODNESS”!!!!!! This is a privilege that we humans have to glorify God this way (by our words and in our lives). Psalms 71:8 My mouth is filled with your praise, declaring your splendor all day long. He really doesn’t need us to boast of His glory because the whole earth, the sky, the universe and the heavens declares His glory. May God continue to use you greatly, my sister in Christ!